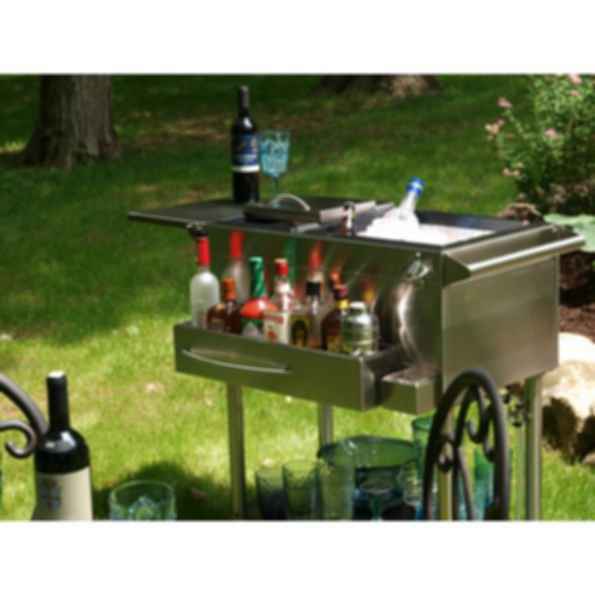 Weather resistant stainless steel construction. 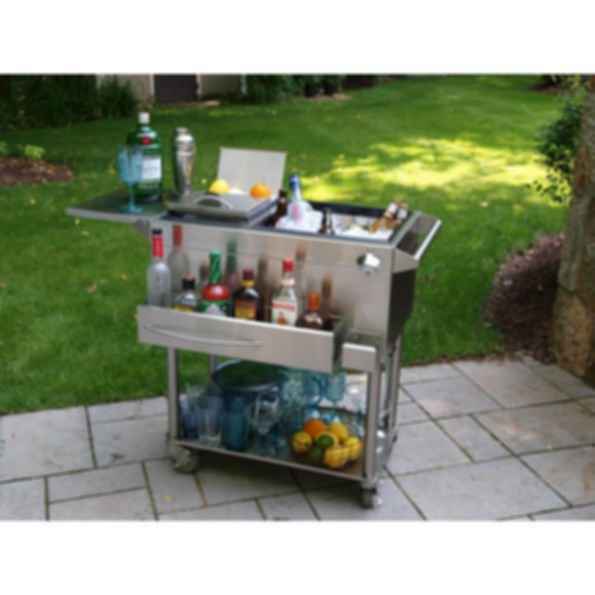 Includes a main ice bin with sliding stainless steel cover, three condiment cups, bottle well for iced bottle storage, flip-up work board, handle/towel bar, bottle rail, bottle opener and cap catcher, bottom storage shelf, and heavy duty casters. Insulated bottle well storage for chilling juices, mixes, wine and other bottled beverages is separate from the cocktail ice bin liner, preventing contamination of the ice used to make your cocktails.